Born in London, UK I now live in East Northamptonshire with my family. I started woodworking as a child but this was left behind as I entered my late teen's. Fast forward 20 years and I rediscovered the joy of working with wood. Starting out from my small garden shed, I once again began to create. A spontaneous moment saw me purchase a small lathe and a passion began. I quickly took to woodturning and started to create a plethora of wooden objects for friends and family as well as my home. It was however in 2017 that I decided to focus on more artistic work where I could embrace my more creative side. I now combine colour, texture, and form to create exquisite pieces of art. I am often seen mixing materials, applying gold or other metal and even fire to the wood. I have also began to work with resin and this has bought another dimension to my creativity. I decided to chronicle my journey as a woodworker by setting up a YouTube channel "The WoodWorking Shed", later renamed to "John Clothier", and I have now become a well known name on social media. 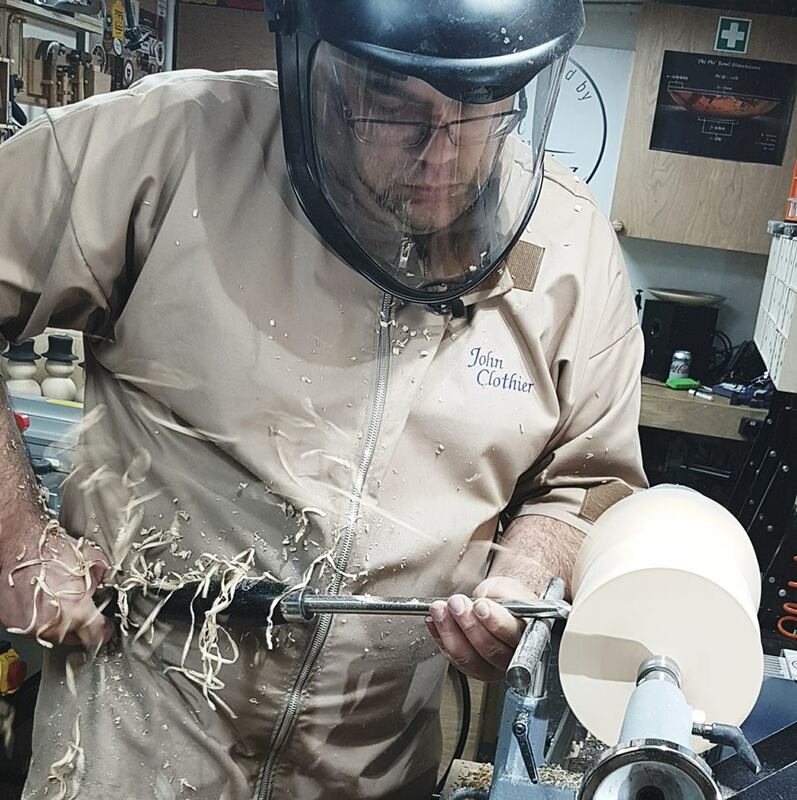 This has led to many exciting opportunities and the chance to meet and even become friends with many fellow woodturners and artists around the world.